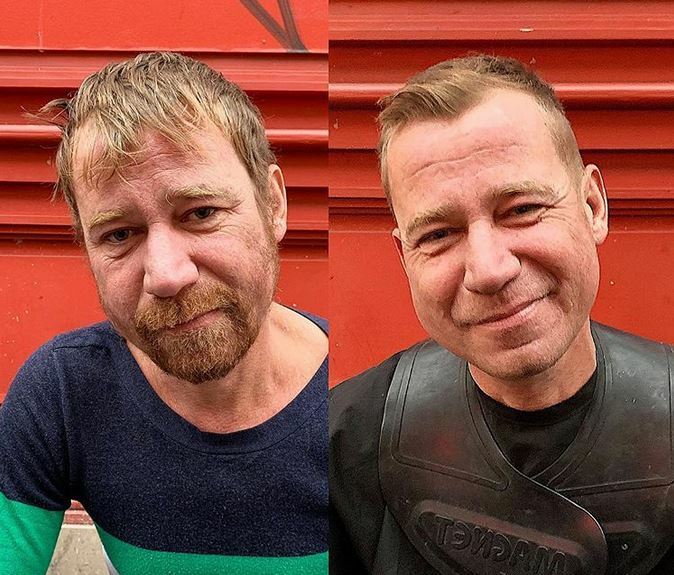 A London hairdresser gives free haircuts to homeless people and has created a selfless, encouraging social media movement off the back of it. 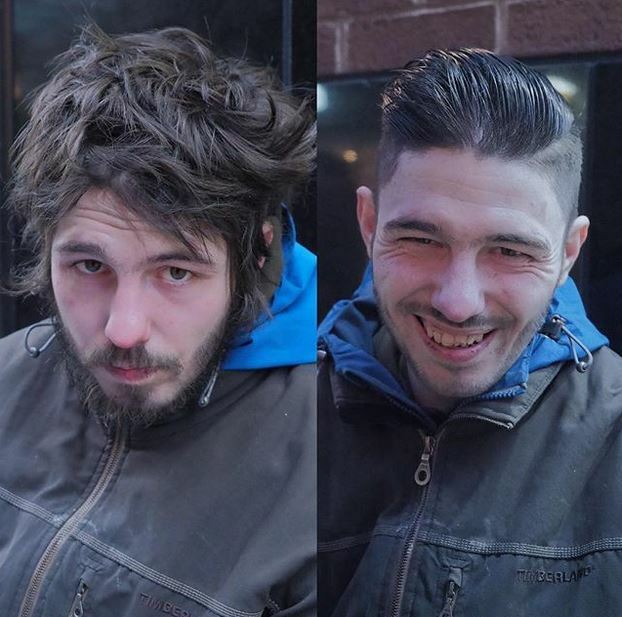 Joshua Coombes has been heading out and about with his scissors for years now, offering to give those living on the streets a brand new look with a fresh trim. 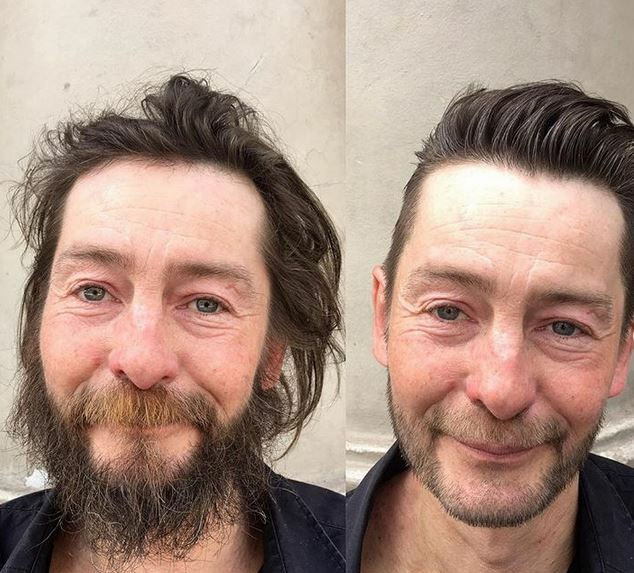 Like any good hairdresser, the 31-year-old gets chatting with his customers, listening to their thoughts, feelings and stories. The only difference is, the streets are his salon. If you ask anyone about the issue of homelessness, I’m sure they’ll agree it’s a huge problem. 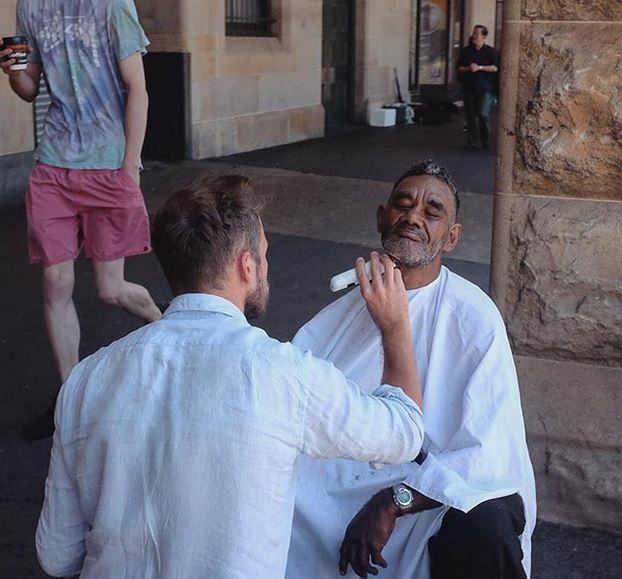 Everyone’s aware there’s countless people living on the streets, but Joshua’s movement isn’t so much about raising awareness; it’s about raising compassion. 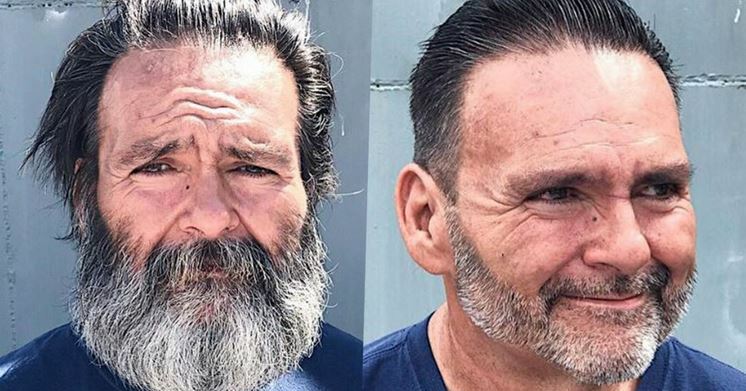 After he’s finished cutting someone’s hair, the hairdresser asks if he can share their story on Instagram using the hashtag ‘Do Something For Nothing’. By sharing the stories of homeless people, Joshua highlights the fact that, like all humans, they have a history, a story which led them to the places they are today. 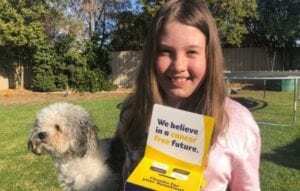 The Do Something For Nothing (DSFN) movement encourages people to realize there is no ‘us and them’ when it comes to people living on the streets, and that a moment of compassion can go a long way. 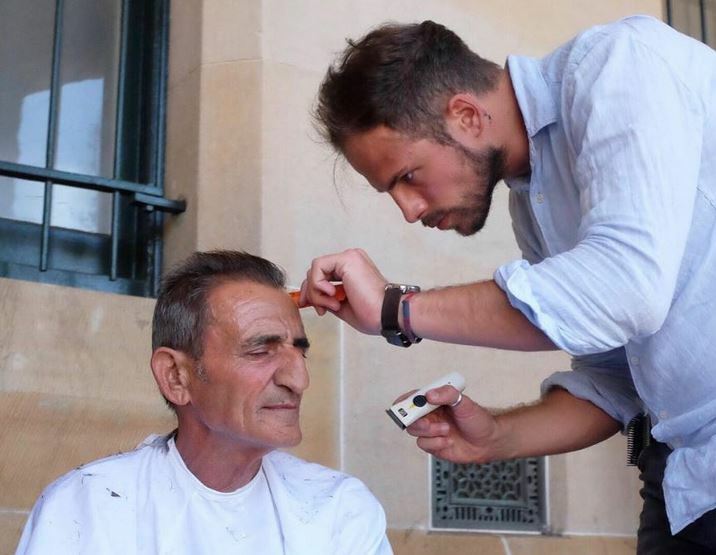 Although the hairdresser often completely transforms his customers by giving them a new look, he explained how the movement is not so much about the haircuts, but about the time he spends chatting with those who are often completely ignored. 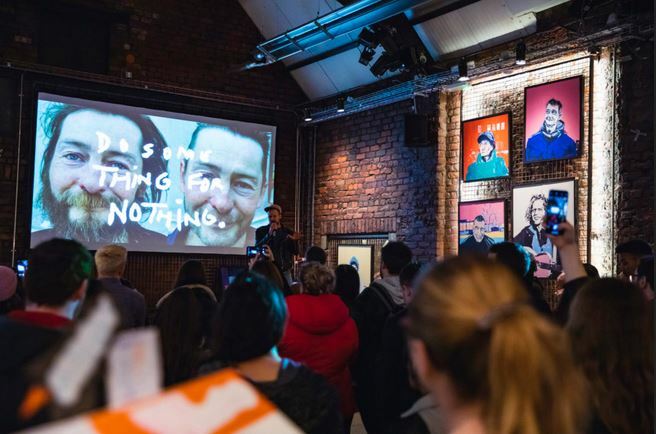 As Do Something For Nothing continued to grow, last year Joshua and longtime friend and artist Jamie decided to find another way to spread the stories of homeless people. The pair took a trip to Skid Row in Los Angeles, one of the most densely populated areas of the US for homelessness. As Joshua gave haircuts, Jamie would take photos and later paint portraits of those they had spent time with. They rented a gallery space and displayed the artwork in a show called Light and Noise, in the hopes of building a bridge between the homeless and visitors from other parts of LA. The pair took the show to London, and later the hairdresser partnered with TOMS as part of the company’s Stand For Tomorrow campaign. Together, they organized four more Light and Noise events, in Manchester, Amsterdam, Paris and Berlin. Joshua’s role as a change maker with TOMS, the original One for One brand, has been forged in parallel with the evolution of the brand’s giving model. The company will now be partnering with change makers and local organizations on projects with local impact, alongside their existing One for One programs. In association with Light and Noise’s Manchester show, TOMS pledged to make a financial contribution to homeless charity Centrepoint, to fund the expansion of the charity’s engagement model in Manchester to help bridge the gap between the learning and training programmes available to young people, and their current levels of participation in those programs. Funding the opportunity marks one of the most significant changes in Centrepoint’s ability to support homeless young people. 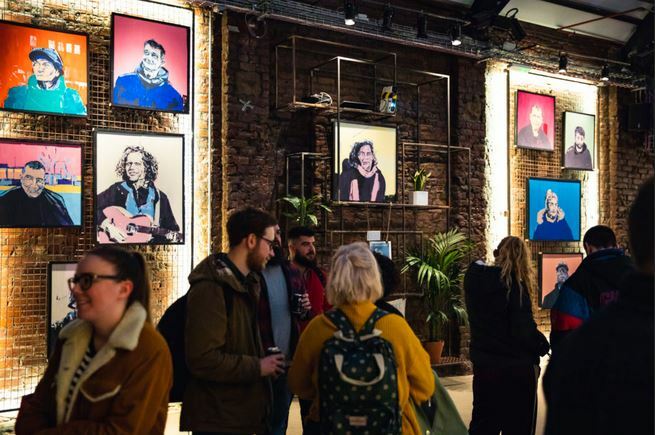 Each Light and Noise show is centered around the host location, featuring the work of local artists and collaborating with a charity based in that city, such as Centrepoint. 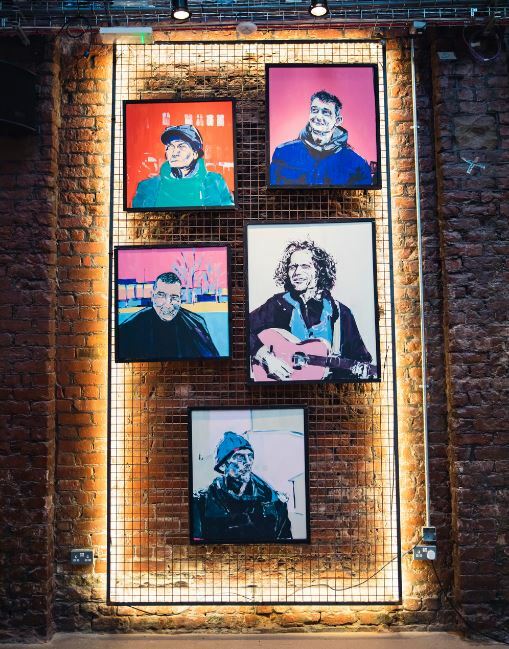 However, the constant throughout the four events will be Jamie’s artwork; 12 portraits depicting three people from each of the four cities. Joshua explained the 12 prints are vital as they ‘give us this realization that this is happening in every city’. Do Something For Nothing and Light and Noise are both incredibly inspiring. 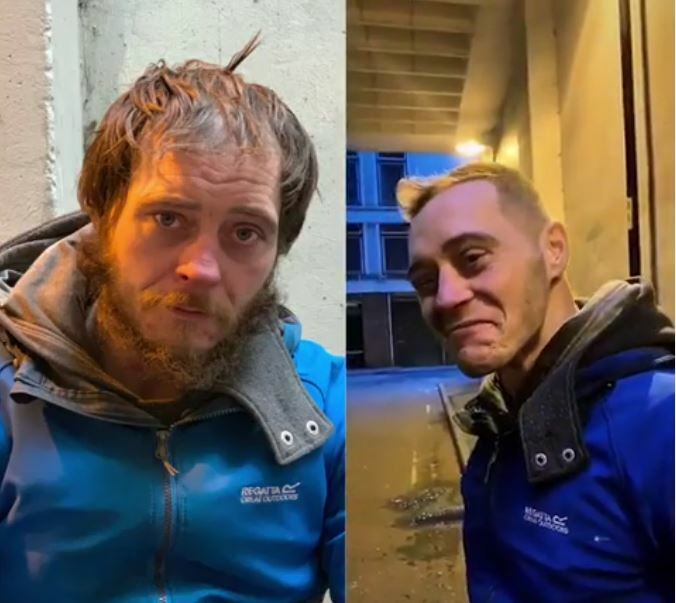 They allow the faces of those who often go unnoticed to be projected and make a point that there is more than meets the eye when it comes to people living on the streets. 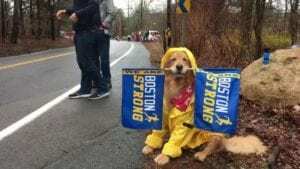 The movement is something everyone could stand to get involved in; we can all do something for nothing and spread some compassion.